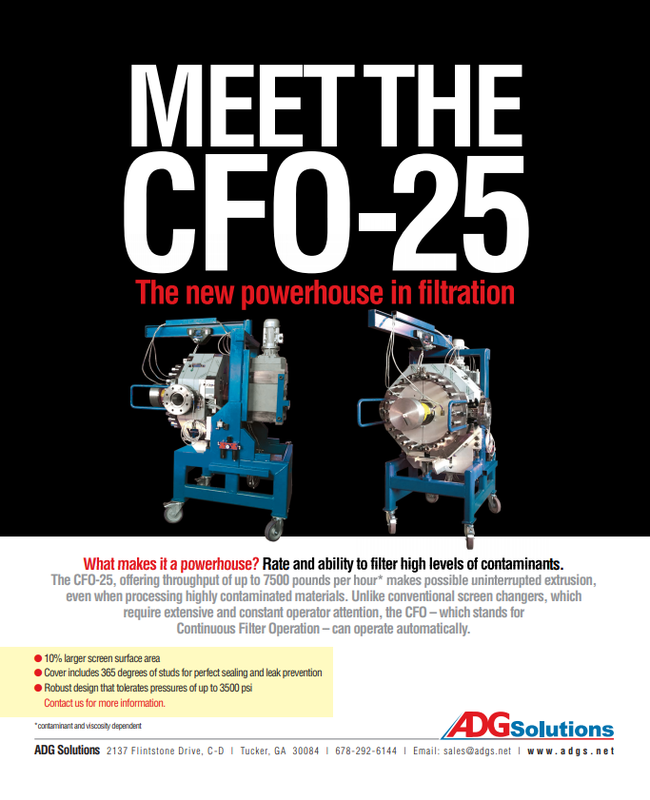 The CFO Continuous Melt Filtration System may look similar to other filters, but it is completely different. In fact, it’s better built and better supported than any filter of its kind and, because it’s made by ADG Solutions, you know it’s reliable. If you’ve had enough of the take-it-or-leave it, you-broke-it-you-fix-it attitude of some offshore suppliers, you’ll appreciate the fact that the CFO melt filter is made in Atlanta, GA, and backed by supplies, parts and service right here in the U.S.A. The new CFO system makes possible uninterrupted extrusion, even when processing highly contaminated materials. Unlike conventional screen changers, which require extensive and constant operator attention, the CFO – which stands for Continuous Filter Operation – can operate automatically. 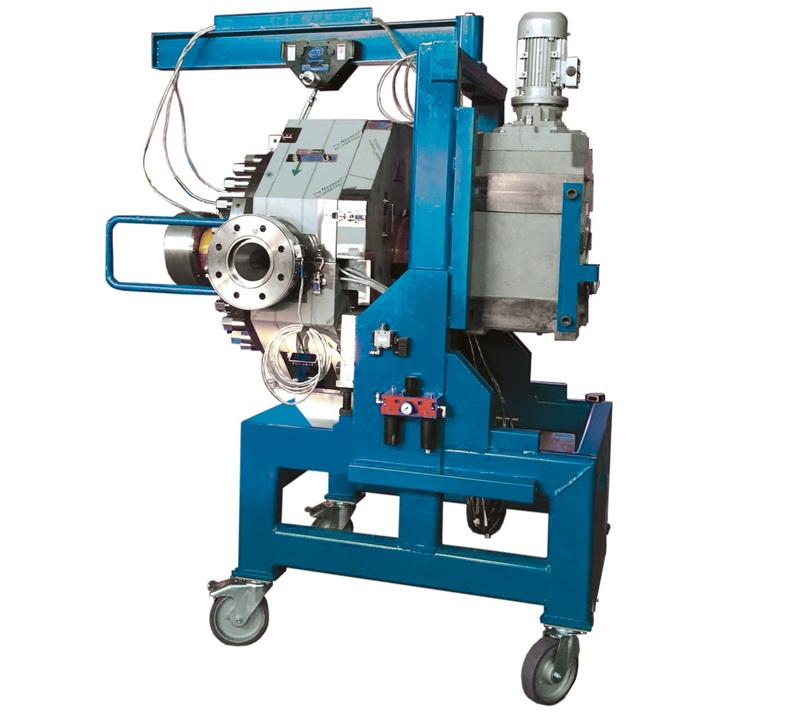 As extruded material enters the unit, it passes through a stainless-steel screen plate that is micro drilled and hard faced, while contaminants are caught on the screen-plate surface. When waste builds up and back pressure reaches a preset level, a rotating blade sweeps the screen and removes the contamination through a discharge port. 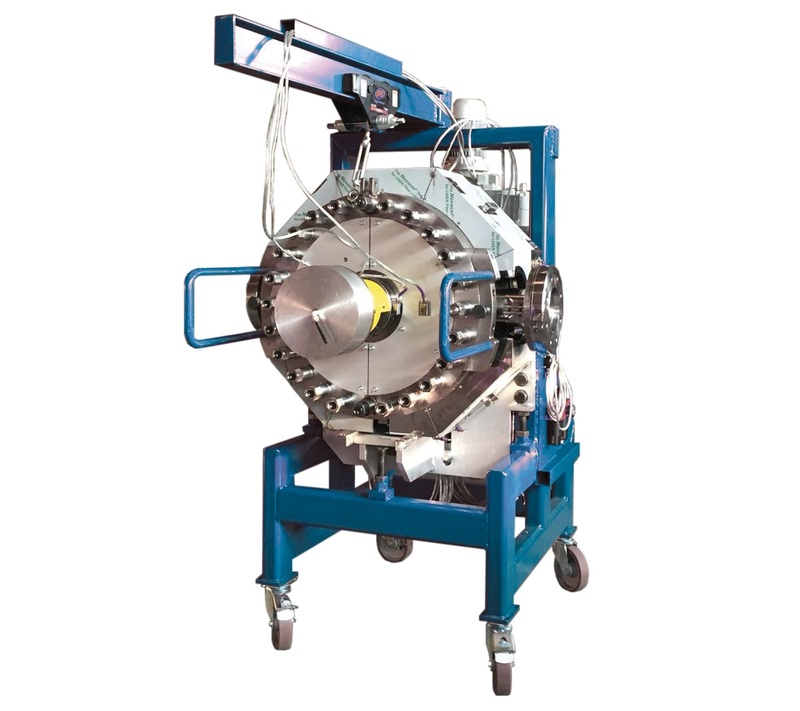 The CFO handles a broad range of materials including PE, PP, PS, PC, and ABS, and can operate at temperatures up to 600°F and pressures up to 3,500 psi. The filter can handle up to 10% paper and other foreign objects up to 0.75 inch in diameter. Contaminants such as metal, wood, paper, textile fibers, unmelted plastic granules, and low percentages of aluminum, lead, copper, rocks and other impurities readily tolerated.